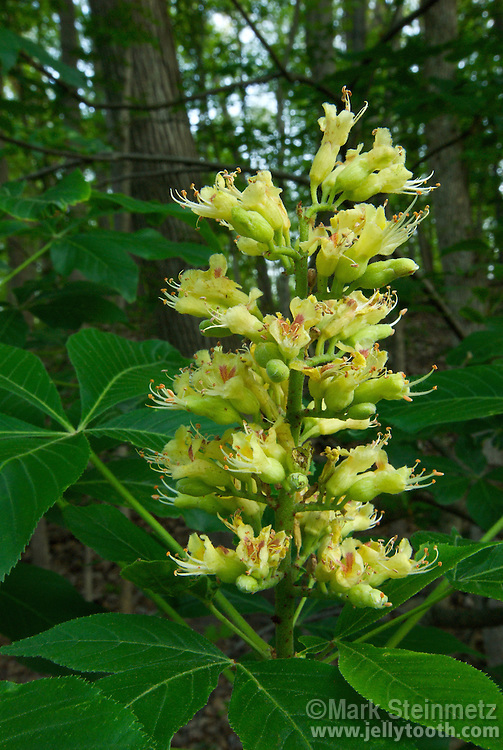 The upright flower cluster of the Ohio Buckeye (Aesculus glabra) tree, Franklin County, Ohio. This tree is native to North American and is found in highest density within mixed hardwood forests of Midwestern states. It's the official state tree of Ohio. Franklin County, Ohio, USA.